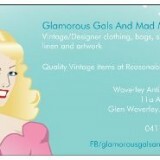 Glamorous Gals and Mad Men proudly stock the best from the 1940s to 1970s highlighting the 40s and 50s and early 60s, at affordable prices. Coordinate with gloves, hats, shoes, coats, hosiery and then see all those other gorgeous items to decorate your home in the glamorous style that vintage is. After being a secret vintage lover for a lifetime, Glamorous Gals and Mad Men has been established three years at the Waverley Antiques Bazaar in its own stylish enclosed room and we have provided the best quality vintage to the theatre and movie industry, to interstate collectors and to the most glamorous gals in Melbourne. Enjoy the beautiful fabrics and styles of a past world – all affordable and in excellent condition, lovingly looked after by MS Glamor Girl. 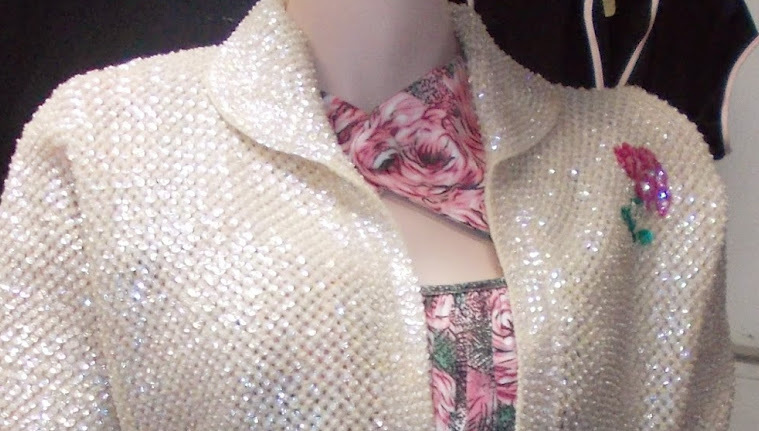 We also offer a styling service so we can make sure you look your best in beautiful vintage. All accessories like gloves, bags, hats, shoes, jewellery, lingerie and vintage makeup are on offer to complete your style and we also have a large collection of Hollywood memorabilia for research and purchase. We favour the 1940’s to the early 1960’s with new stock arriving weekly, all hand-picked, from the very best homes in Australia and USA – vintage designer outfits also are showcased regularly. We also have a selection of vintage-inspired and rockabilly clothing for those who are moving towards vintage yet not ready to jump in fully yet. Rock’n’Roll and Vintage Petticoats are also available to compliment the fuller dresses. Come in and be pleasantly surprised.